Mary lost two years of school going in her early childhood years, setting her behind her peers in school as her single mother is an alcoholic, and survives through selling home brewed alcohol. The mother is constantly under police custody and she was in custody with her daughter when one of the wardens recommended that Mary be placed under the care of Manaseh children’s home to ensure she gets an education and stay in a safe environment. It is then that the smile on her face could be seen. She brightened up and she started attending school at age 13. She’s behind her schooling as she’s only in the 5th grade. She has constantly been under the keen eye of her teacher so that she does not regress back to her mother’s induced lifestyle. 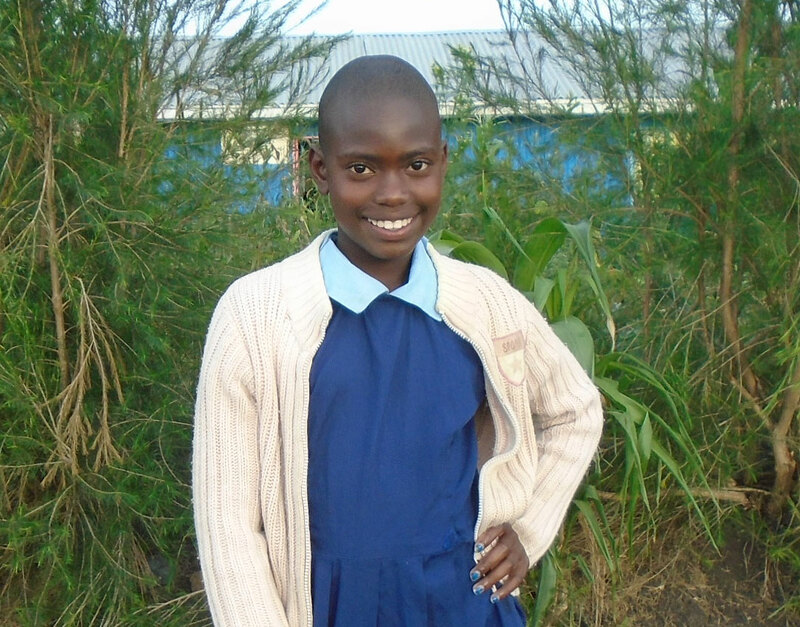 She has continuously improved under the care of the home and she is currently doing very well in school. Mary is always smiling. She is a very strong girl who does not let her childhood problems bring her down. She is very helpful with chores at the home and voluntarily offers to do cleaning for the smaller children. She is very jovial and has warmth around her. If supported, her future is very promising. She needs moral support and a person to appreciate her, cheer her on in her journey through education and remind her that she is important. She needs support with basic upkeep such as uniform, shoes, basic utilities and fees for her school. If supported Mary has a very promising future ahead. Her sweet smile will light up many souls and she has every motivation to succeed in life.